Basic Beekeeping: Should You Feed 1:1 or 2:1 In The Fall? Should You Feed 1:1 or 2:1 In The Fall? WOW, FALL IS IN THE AIR! 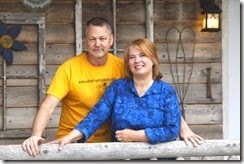 Sheri and I have been amazed at how quickly summer flew by. The first day of fall is in 11 days. Already bees are stockpiling their winter stores. The recent tropical storm made its way into Illinois and poured 4-6 inches of rain on us. Needless to say, the grass needs mowed again. Those of you facing the threat of hurricane Florence, I want to share some tips on how to secure your beehives. Option one is to move them out of the path of the storm. If you can't do that, make sure they are high enough to be above rising water. Also, you will need lots of weight on the hives to withstand high winds. Try to secure the hives to the ground well. You might even try to screw plywood along the sides of the hive and catching the top so nothing can separate. Fingers crossed. 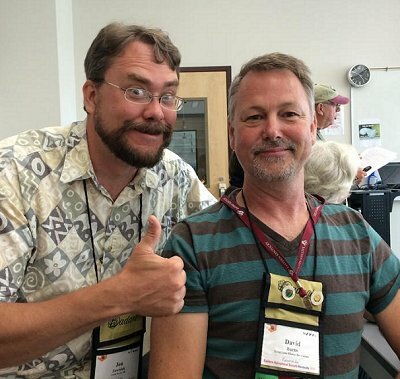 HIVE TALK is a beekeeping podcast with Jon Zawislak and David Burns. Join them today at 1:30 central time. They will be talking about why colonies become more defensive in the fall and steps to take to reduce stings during fall inspections. Set your alarm and your smart phones. If you missed us live, listen to the recorded episode on iTunes by clicking here. 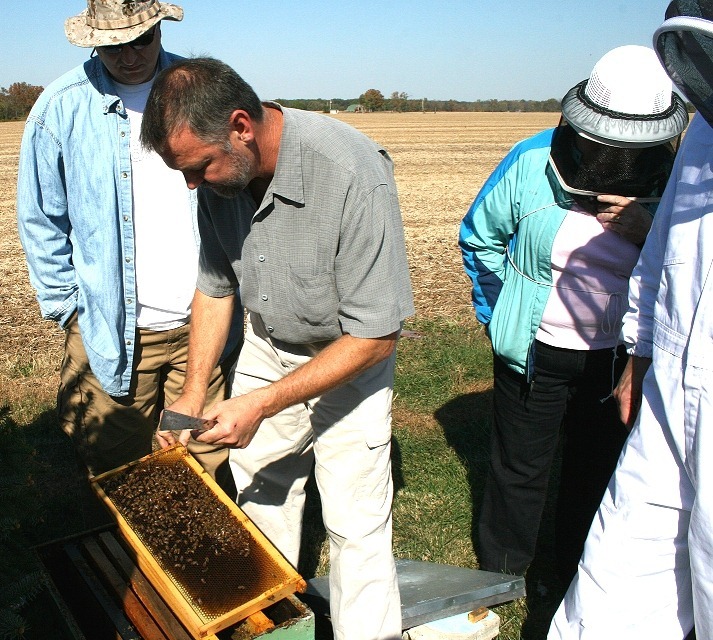 David offers a mentoring/coaching program to beekeepers around the country. You can call, email or text your questions to David, an EAS Certified Master Beekeeper. Plus, you receive a regular tip and video from David. Those who sign up in the month of September will receive one free Winter-Bee-Kind on your four month anniversary, in December. YOUR CHRISTMAS PRESENT! Free Shipping too! Click here to sign up now. The fall presents many challenges one of which is to know what to feed bees. Should it be? 1:1 or 2:1 sugar water. Traditionally, 2:1 (2 parts sugar and 1 part water) sugar water is given in the fall. However, this does not afford the colony the opportunity to build up brood. 2:1 is thicker enabling the bees to dry it faster in the fall for stored honey. 1:1 is much more beneficial because it enables the colony to continue to raise brood. Brood raised in the fall will be bees of winter physiology, meaning that they will live 4-6 months rather than 45 days in the summer. I, therefore, encourage you to do both 2:1 and 1:1. Our Burns Bees Feeding System allows the beekeeper to feed both 1:1 and 2:1 and a pollen patty in the fall. This gives the bees added incentive to store honey, raise brood and to have the protein to do it all. Our Winter-Bee-Kinds provide winter food. TIP OF THE DAY: When to feed liquid sugar and when to feed a candy board: A colony will cluster when temperatures reach 50 degrees (f) or below. At this temperature bees will no longer consume liquid sugar water. My rule of thumb is that when bees are no longer flying due to colder temperatures it is best to place our winter-bee-kinds on top of your brood nest area. This allows the winter cluster to continue to have the added food as insurance. You've worked so hard to keep your colony healthy all year. So don't let them starve this winter. Take our ONLINE COURSE "Getting Your Bees Through The Winter" and learn how to properly prepare your bees for winter. You are likely missing out on simple steps needed to keep your bees healthy all winter. Get one month of free mentorship by David.